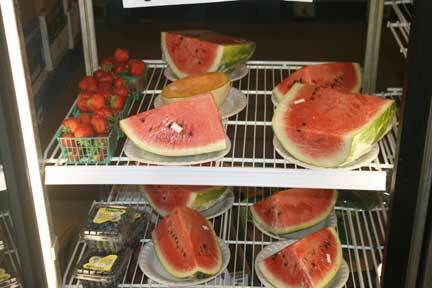 Frei’s Fruit Market is dedicated to selling fresh produce to travelers and locals. Some of our Utah vegetables you can find at our market include sweet corn, tomatoes, cucumbers, zucchini , yellow squash, Patty Pan squash, onions (red and yellow), cabbage, eggplant, tomatillos, jalapeño peppers, green peppers, Big Jim peppers, and yellow banana peppers. 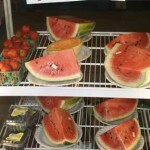 Check out our fruit options as well with cherries, peaches, watermelon, cantaloupe, Early June tart apple, and other apple varieties. 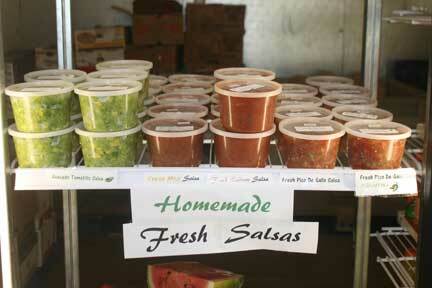 You can also visit Grandma’s Pantry or Fridge for some freshly made jams, jellies, preserves and salsas. We hope to see you soon. My family loves this place! 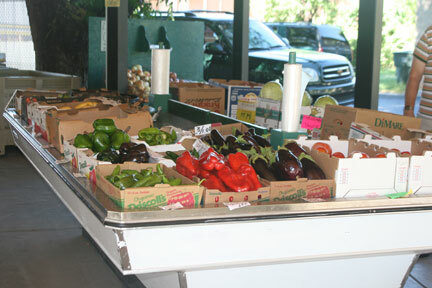 Thanks for the great fruits and vegetables and outstanding service! I love buying locally sourced food. The dilly beans are awesome, and the customer service is excellent. 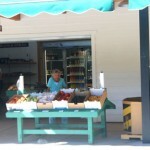 Great little store with fresh fruit and vegetables, homemade jams and more! The folks are very friendly and helpful. Beautiful little town also. Back in the early days of Santa Clara, Old Highway 91 was the main road connecting travelers from California to Salt Lake City. 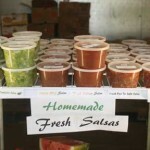 Most of the residents of Santa Clara raised their own fruits and vegetables and would market them to weary travelers needing a rest and some cool refreshing fruit and homemade lemonade. 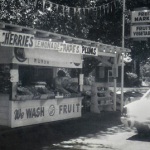 Landon and Wanda Frei were no exception and in the summer of 1956 set up a card table in their front yard and began selling their fresh produce. In 1978, the old Highway was replaced by the new I-15. 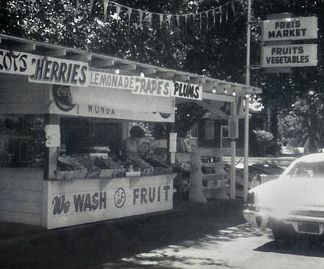 The fruit stands that dotted the streets of Santa Clara began to diminish—all except one: Frei’s Fruit Market. In 2007, Landon and Wanda (then 91 years old), turned everyday operations over to their son Bryce and daughter Vicki. 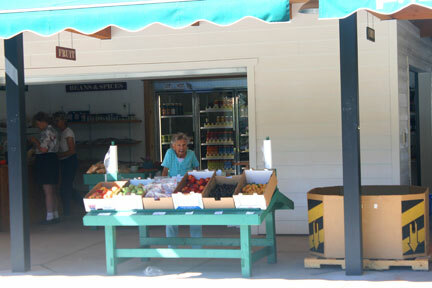 A new fruit stand was built and enlarged to create a better environment for their many friends and customers. This entry was posted in Markets and tagged fruits and vegetables, market on June 7, 2018 .